Few years ago I have experienced disastrous data loss in my Mac which cost me loss of about 10000 dollars. I had no backup due to which it was just impossible to get my lost data back but, Mac users have several options to keep back up of important data and prevent the data loss situations. In general cases, power failure, fire, hard disk failure etc. are the main causes of data loss , here, I will explore best backup methods. Time Machine:- It is an inbuilt application of Mac OS X. Time Machine uses Time Capsule as a backup drive, it’s an Airport Extreme Base Station coupled with a server grade hard drive, which is used as backup device. 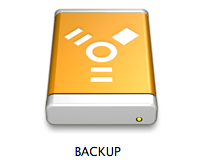 Time Machine has great feature i.e it keeps incremental backup, I love this feature. I like to schedule my backup with time Machine because I am too lazy to do it frequently . Online Backup :- Unfortunately, keeping faith on one/single backup is not the best backup plan. So, you can use online backup method to prevent this situation. The two cloud computing services Backblaze and Dropbox, it is a popular online application, which allows you to store your data at remote server via internet. Apple is also providing icloud service, where you can keep your data and get back anytime. 1.It creates an exact, identical replica of your Mac Disk to another Disk/Volume. 2. SSD and exFAT formatted disk can also be copied. 3. It helps to clone your volume to another volume, folder, or a network drive . Every Mac user should keep backup of their precious data so that you make yourself ready to face any data loss situation.